Successful artpreneurs do a lot of research to find out where they can best position themselves in a market. In a recent interview with superstar artist Matt Leblanc, he talks about how he spent a fair amount of time researching his market to find out what kind of art was out there, who was doing it, how much they were charging, and how much they were selling. Using this research, Matt was able to position his art at a certain price point that fell right in the sweet spot between various other artists, and he took over an entire local market. You can do the same, and the research isn’t that hard. There are lots of interesting tools for doing online research. I’ll give you here a run down of some basic tools to get you started. – Use the SEO Book Keyword Tool – Aaron Wall has put out an easy to use tool that will show you how popular some artist sites are. This is a good indicator who you should imitate or learn from. – Google Blog Search – just type in the style of art that you do (as specifically as possible), and you’ll find a host of blogs and artist sites who are in the same genre. Most of them will be really awful. Use them as an example of what not to do, stealing a few examples of designs you like and marketing tactics you like. – Artist blogrolls – most bloggers have a list of blogs that they read on their their site. Looks for long lists with titles like “blogroll,” “blogs I read,” or “great people.” You’ll start to notice patterns. Who gets listed a lot? Think about why they get listed. – Twitter Search – Twitter produces 1 Billion Tweets per week! That’s a LOT of real-time data about what’s happening on the Internet and in the real world. People update Twitter from their smartphones all the time. Spend a little time there to see what artists are tweeting about, and who is responding to them. It could be enlightening. – Google Keyword Tool – Google advertising program, Adwords, provides a free keyword research tool. Use it to see how many people are searching for your style of painting. Be sure to get really specific. “Portrait Art” is way too general. Think “Original Pet Portrait Art,” or “Portrait Artist Portland, Oregon.” The numbers can be enlightening, but don’t let these numbers alone dictate what you do with your work. Even if there’s not a lot of search traffic for it, that doesn’t mean you can’t make a living as an artist doing what you love to do. – Facebook search – Want to see which artists have large followings online? Look at Facebook Fan Pages. Just do a search on Facebook for the kind of art that you want to do and see who comes up. It might surprise you to see that there are already a bunch of artists who have substantial Facebook followings, and that they are making sales off of those Facebook fans. Finally, I’ll say that while research is important, the final decision on what to do and how to do it comes down to you as the artist. It’s your work and your life. Artists remake new markets and forge ahead into areas that others can’t see. That’s what makes artists unique and interesting. Once you’ve done your research, set it aside and think about your artistic vision and then do what you know will take you down the right path. Need help with figuring out your online marketing? 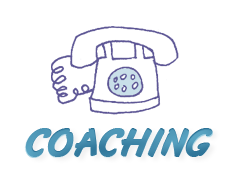 Check out our artist coaching packages to give your art business some love! Thanks for this post and video, Cory! It was very helpful and informative. I will be going through your video slower later today, so that I can make some real progress! @Wow Cory really useful information. I too will be going over this in more detail later today. but, being more old school I am writing things in a notebook at my desk. I’m so happy I discovered your site. This was yet another extremely helpful and motivating video. Thanks Cory! This is exactly what I need at this point in time! You really have a way of motivating me as well. Keep up the great work! You’re welcome Dawn. Glad you liked the post. lots of freetards sign up then label the emails they receive as being spam, thus they block others from getting them. I can tell you that I’m not sure I appreciated being referred to as a freetard. I especially don’t like the reference. BUT I still want the free tool. Any suggestions? Thanks!!! He’s not calling YOU a freetard. He’s saying you should check your spam folder because other people mark his emails as spam. This is excellent! Some tips in there I’ve never heard before and it’s definitely useful for positioning, branding, and generally refining your online presence. I still have a lot of work ahead, but you have made it so much easier to figure out by posting this video. I’m so happy I stumbled upon this site. It has been a huge help, so full of information and tips! This was fantastic for me…..Thanks Cory! Working online from home as an audio transcriber uses a few skills, but using a little bit of practice and study, an audio transcription job will make you a nice steady fulltime income. It’s a Blue-ray capable machine and every one with the amazing aspects that Blue-ray offers its customers is with this machine. 10% more wire than you’ll need. cowgirl1959 You can only view them on your phone. I guess that I still have a lot to do … LOL … thanks for the great advice. I am wondering if the “free keyword research tool” from AdWords still exists. Whenever I tried to use it, I get on a page where Google want me to pay for my first campaign. no free tool. Any suggestions? Hi Faith – the tool is still there, but you have to sign up for Adwords to use it. You don’t have to actually spend any money, but you do have to give them your payment info. I am just starting out to do pet portraits as well, but with a different twist. Your blog on the business of art marketing has been invaluable! Your newsletter has been full of up-front value, as well. Thanks for the tip about the SEObook toolbar. That will be amazingly useful in my research! Thanks Cory for all of your valuable information. A friend of mine shared your website with me recently and I can’t thank her enough. The gallery where I showed my work closed suddenly and I was left in the lurch figuring out my next ave for sales -so your advice is very timely. (I have had a website for 5 yrs and doubt I have had more than 100 visitors in all of that time!) I have listened to some of your podcasts and plan to listen to them again until I know which steps to take to begin successful online marketing.Thanks again! Such helpful information. I’ve just started using the SEO tool and I can’t believe how well it works! I didn’t even know that kind of information was so easy to find out about….little bit weirded out by it but I’m going to use it anyway! I’m just getting started with all of this – thank you so much for your posts! Very well written and insightful, I am learning so much! Hi Corey, this video is very useful. I watched it a while ago and also just now. I also go to the TAA facebook page a lot. Your courses are great too. If you ever made a power checklist e book, I would buy it in a shot? I for one would be willing to pay $20 plus for a a small hard copy book that would just give a kind of power checklist to remind people to do things for some of your tips. If its online I just put it into a older and do not refer to it so much. Thanks James. The ebook idea is a good one. Thanks for your article. I always enjoy your letters. I intend to look into those sights. Happy New Year! Im in the process of setting up my first shop on Etsy. Ive been doing alot of studying and planning. It’s exciting. It will take me some time to get it up. I get a lot of good ideas from your letters. Thnak you. My biggest problem to overcome is how to stand out from the crowd. Example: ArtPal son of Paypal son of feebay.. Their art is so bad I do not want to be associated. I fear my art will get lost in a sea of garbage art and sink. Fine Art America is better but half the time when I am searching with my keywords my art never shows or is not anywhere near the top. 500px images are liked and commented only for a few days. What is really going on with all the social media sites that say they sell. Personally I do not want FAA to use my work to sell prints. I am very capable of full filling orders. Just a simple thank you for that post. My horizon has been broadened. Thank you for another great post with useful information. I’m going to check out SEOBook and get started on my research now! Your course on How to Sell Your Work Online is really helping me, and very timely, too because my old blog/domain name are gone! Good time to put together a more professional website! So… I started the research with a google search. What I have noticed is that artists websites rarely show up on the first few pages (! I’m on page 11 of google now and I’m a pretty good researcher), and for the most part it’s very difficult to find pricing, or even how to buy their art, (or if you even can buy the art) except by contacting the artist, usually through email. It’s like pricing, or selling their art is some sort of mystery. Some sites only had sold pieces represented. Trying to look at it as a collector I found this very frustrating, wondering if they have a website why are they making it so difficult to purchase their work? Why should I have to jump through hoops to buy art? Do they NOT want to sell their work? So, lesson learned… make it easy for people to purchase your work, after all – impulse buying is a legitimate way to sell. Even if you only sell through a gallery shouldn’t you make that avenue a link? The ones that did have gallery representation and a link, well, the gallery didn’t price the work either. That would be okay if the gallery was around the corner but doesn’t that limit your customer base to local buyers? I’ve looked at about 20 sites of artists that do similar work to my own, of those 20 maybe 3 or 4 sites were ones I would say are effective as far as a platform for informing and selling work. Also, most of the artists seem to be doing workshops or some kind of lesson sales. Very few had a newsletter or some kind of call to action for subscribers. A question… wouldn’t it be a good thing to be able to collect an email list? For marketing and promotion, if not nurturing a following? Another lesson learned. Most had an artists statement – this is an area I struggle with. Writing about myself and my art. This has been a fantastic exercise. I have learned a great deal this morning. Awesome suggestion! Your comment described my website situation. I struggle to built an inventory of art. My website is boring and I don’t have the time or dollars to have it professionally revamped. I have never done marketing rallies, don’t use my email contacts to spread the word and only showed a couple of times. You could say I do this just for fun…because setting it up for big business would put an added strain to the work load. The reason some of us mostly have previously sold works displayed on our websites is to give prospective clients an idea of what we/I have done in the past, I refuse to make more than one of the same, no copies of previous work, yes… a limitation to protect those who paid a price for the art piece. It’s hard to round all artists/art in one single box, and so, what works for one, might not for another artist. I could not respond to more that 3 clients seeking custom work and I am not fond on keeping large inventories in order to supply an impulse purchase. But, I understood your point…I could be selling more…to those I am now, willingly excluding. I want to sell to those who really want to buy because they have a reason to like the work and are not concerned about the price so much. Great info and video ! I don’t have a website as yet and I appreciate you what you are doing to help artists to sell their work, and even make a fulltime income through their art. I have already had a few solo exhibitions and several joint exhibitions here in Trinidad. I also did commissioned paintings and book illustrations and taught private classes for over 15 years, but I’ve never sold any work online before. Nor have I tried. But I would like to in the near future. Thanks again for all the great advice ! I hope to take one of your courses sometime soon ! I think Pablo Picasso said it best when he stated “Good artists copy, great artists steal.” A phrase most if not all artists are familiar with. I recently realized I needed to view my art as my business, since I did that I started to earn some income with my art more than I’ve done in previous years. It’s not nearly close to what my goal is, but the sense that I am moving in the right direction is motivating. This post provides some great points and touch in the importance of looking at successful artists with styles similar to yours. I have read many of your helpful articles. This article though was disappointing to me. When I clicked on the link to this article, I was expecting to find actionable items on how to research to FIND my market. But what I found primarily was how to look at what other artists are doing online and a keyword search tool. Couldn’t one spend weeks following the above steps and still not FIND their market? What I wanted to see was HOW does spending time on Twitter or looking at an artist’s help me find my market? HOW does looking at keywords help me find my market? HOW does loading an SEO tool bar help me find my market? Was I looking for too much out of it? fast forward to today and the information shared in this post is still relevant. Very interesting approach, but what if there isn’t anyone currently doing what you do. I have always felt my art was a fairy small niche, the downside is research. I weave photographs in a photo realistic technique in both 2D panels and 3D vessels. All the current work seems to be abstract. Fernando Bengoechea was doing a simpler technique, but unfortunately he was swept away in the sunami years ago.